Last week, I received a really sweet note from a young man that touched my heart. He said, Pastor Burt, we don’t know each other but you’ve been a mentor to me through Fresh Manna for the past couple of years. My friend and I read and talk about every one of your posts and they have helped us become better men because of it! I can’t begin to tell you how much that blessed my heart! Ministers of the gospel, motivational speakers, and countless communicators from different fields, all and often communicate an important truth: everyone’s life has significance! That is true because we were all ultimately created by God to experience a meaningful and significant life with a destiny to fulfill. I know that the plan for every individual has been tainted by the sin and evil that exists in this earth but, that is what creates even greater opportunity for us to walk out a significant life. We are needed and can be salt! Jesus said, “You are the salt of the earth…”Matthew 5:13 (NKJV) We can bring flavor to this earth. One of those ways we can be salt, is to constantly keep our eyes open and see and catch the good that people do—openly acknowledging and encouraging them in the continuation of it. What a paradigm shift that would be knowing we live in a world where people more often catch and comment on the bad people do! We all desire to be noticed. We all desire to be appreciated for our efforts. We all desire to be encouraged in the job we do. This is true whether we clean toilets, educate children, run heavy machinery, work in healthcare, defend the public, or run a corporation. Those that are best being the salt of the earth are those that realize they can be used of God, to touch someone’s life with His love and encouragement. Moses was truly one of the greatest leaders of all time. It could be said that it was discouragement that actually contributed to cutting his destiny short and kept him from finishing one of his greatest dreams—physically entering into the promised land. Discouragement is as powerful in the negative as encouragement is in the positive. In the first chapter of Deuteronomy, Moses, who was close to the end of his life, began to give his final words to those that would step up and lead the people into the Promised Land—the land that God had promised them. He started out by telling them, that what was only an eleven-day journey, ended up taking them over 40 years. Kind of a mind-blowing thought isn’t it? That’s what happens to grumblers who only see the cup half empty. They miss God’s direction in their life and cast away their faith, giving up on God’s promises, resulting in endlessly wandering through a life of discouragement. Now He was speaking to the next generation commanding them to go in. There were going to be serious challenges—the greatest being the overcoming of their personal fears and instead, trusting God in the face of adversity. Moses encouraged them, “But I said to you, ‘Don’t be shocked or afraid! The Lord your God is going before you. He will fight for you, just as you saw him do in Egypt. And you saw how the Lord your God cared for you again and again here in the wilderness, just as a father cares for his child. Now he has brought you to this place.” Deuteronomy. 1:29-31 NLT. Why am I telling you all this? Because discouragement was like a contagious disease amongst these people. It jumped from one to another and repeatedly took the wind out of their sails. 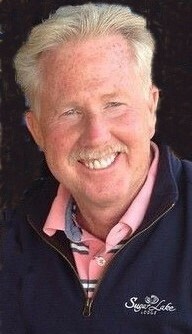 It turned an eleven day journey into a 40 year walk. Discouragement is so powerfully bad that even infected one of the greatest leaders of all history. Moses was a great leader. He did have a short lapse—something great leaders cannot afford because of all the lives they affect. But even so, he came back to his greatness and came back to driving home a message to the people regarding the leader that would take over! He said, “Encourage Joshua.” “Joshua son of Nun, will lead the people into the land. Encourage him as he prepares to enter it.” (Deuteronomy 1:38) As the story continues, Moses repeatedly encouraged Joshua and encouraged the people to encourage Joshua! Encouragement isn’t empty Ra-ra cheers. No, encouragement is based on a strong foundation of faith in the promises of God. Their job was to be salt to each other! To remind each other of God’s promises and encourage them in it! Let me tell you something I hope you’ll never forget. There is always a way to encourage people! When you become one that does, those that you encourage will never forget it. You will help them and they will remember it. If not immediately, then eventually! 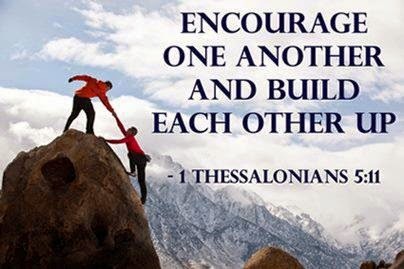 1 Thessalonians 5:11 NLT says, “So encourage each other and build each other up, just as you are already doing.” It is a powerful force and one you want to be known for! It’s within you, so ask God to help you develop in it. Be salt! Be an encourager. See the best in people and remind them of who God made them to be. Do so and you’ll be a standout, and the salt of the earth giving flavor to the life of others! By doing so, you will help nudge people to fulfill their significant life and destiny, and bring significance to your own.